“I do not” seek to withdraw the plea, Trump’s former national security advisor Michael Flynn just told the judge overing seeing his sentencing for lying to the FBI. Flynn said he is satisfied by his attorney representation, does not want extra time to speak with them, and does not want to speak with another, different attorney before this proceeds. “Are you continuing to accept responsibility for his false statements?” Judge Emmet Sullivan asked. "I am, you’re honor," Flynn loudly responded. 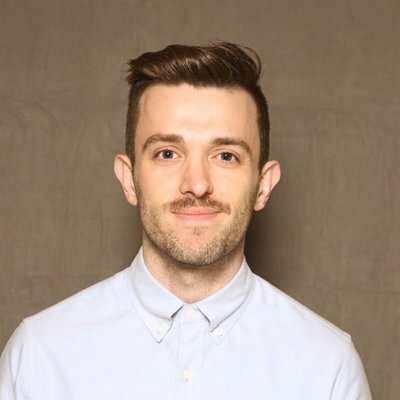 Sullivan asks Flynn if he would like to postpone the sentencing, and Flynn says no. What this means: He is standing firm on his decision to plead guilty to this crime. 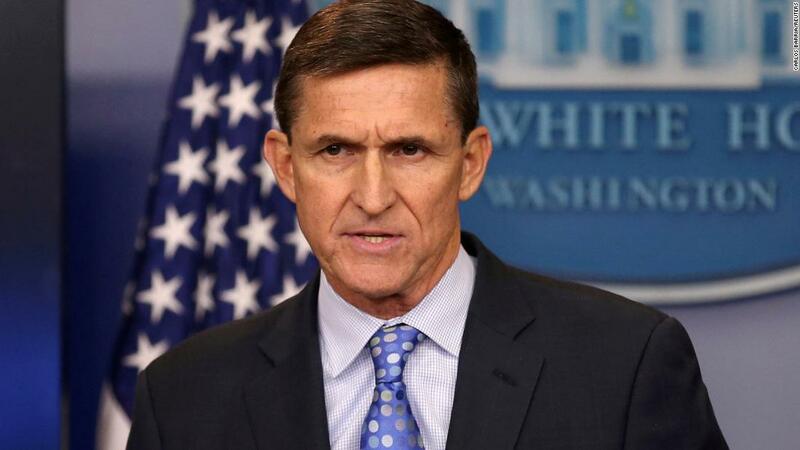 Michael Flynn, a former national security adviser to President Trump, will be sentenced after pleading guilty to lying to the FBI. Follow here for the latest. What about the guy that hired them both? 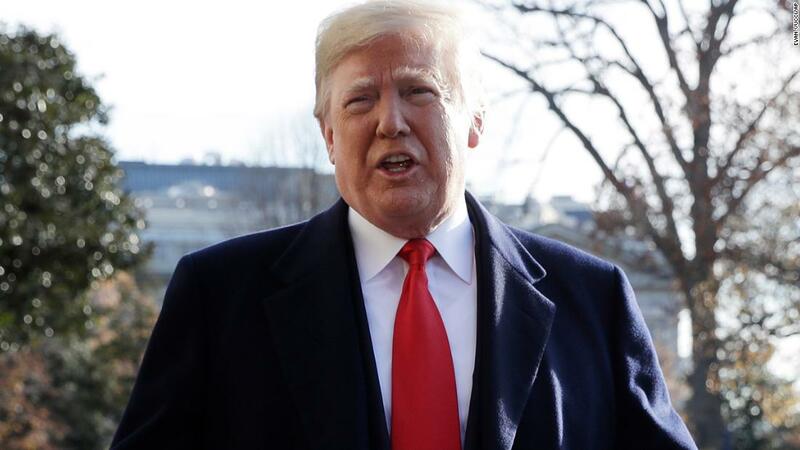 Today, the President’s current lawyer said this of his last lawyer: He lies to fit the situation he’s in; He talked to a dozen reporters and lied and deceived them; He’s changed his story three or four times; He’s a serial liar. What about the guy that hired them both? “Arguably, you sold your country out"
A newly obtained document shows President Donald Trump signed a letter of intent to move forward with negotiations to build a Trump Tower in Russia, despite his attorney Rudy Giuliani claiming on Sunday the document was never signed. 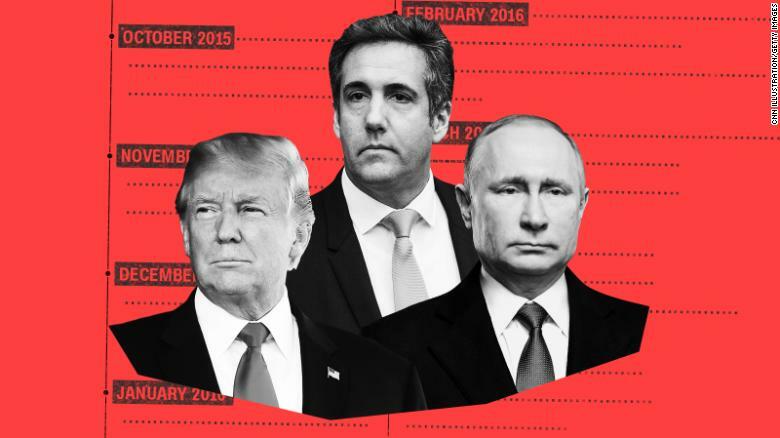 The recent guilty plea of Donald Trump’s former attorney Michael Cohen revealed new details about efforts by the Trump Organization to land a lucrative business deal inside Russia. Excellent time line detailing Trump’s secret business negotiations with the Russians during the campaign – alongside the lies he was telling the public. This was put together before the signed letter of intent surfaced – I’m sure that will be added here soon. Linking to this podcast…called MuellerSheWrote. Here’s Giuliani’s roundup of where the President is NOT involved with any Collusion, Obstruction (Prof Dershowitz cleared that up), hacking (I was with the Prez 24/7 for the last days of campaign) etc. See 1:40 where destruction of evidence must have happened. The DC Circuit court has tried to block a proceeding which Chief Justice Roberts is giving the go ahead. A legal filing is due on New Year’s Eve. I do not pretend to understand the legal machinations…but it is getting more intriguing to know that Roberts has been siding with the liberals on the court as well. Chief Justice Roberts also shamed T publicly in a tweet, saying that the Supreme Court was neither Democratically nor Republican led…it needed to remain neutral. 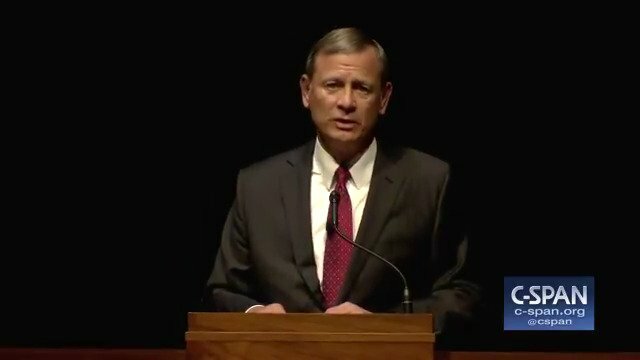 A Holiday Mystery: Why Did John Roberts Intervene in the Mueller Probe? So now, in abrupt fashion, Mueller’s investigation has suddenly reached the Supreme Court, and with the personal attention of the chief justice, no less. What does this all mean? Let’s try to unpack it. This month’s three-page summary D.C. Circuit decision revealed a fairly dry set of legal issues that just might conceal a juicy core. The dry issues involved matters of jurisdiction and statutory interpretation fathomed only by elite appellate lawyers, but the potentially juicier underlying issues hinted of fascination: Somewhere, a corporation (a bank? a communications firm? an energy company?) owned by a foreign state (Russia? Turkey? Ukraine? United Arab Emirates? Saudi Arabia?) had engaged in transactions that had an impact in the United States and on matters involved in the special counsel’s investigation. Intriguingly, the decision revealed that a regulator from Country A had filed a submission claiming that compliance with the subpoena would cause the Corporation to violate Country A’s law. So whoever Country A is, this matter captured its officials’ attention and prompted them to send filings to a faraway country to block the subpoena. Why does Country A care? And, what is it trying to hide? So, from the D.C. Circuit’s decision we learned that a foreign government was actively involved in blocking Mueller’s investigation. That fact is intriguing enough. In the ordinary course, that should have been the end of it. The state-owned Corporation filed an appeal with the Supreme Court, which receives roughly 7,000 petitions a year but acts in fewer than 200 of them. There was unanimity below — all four judges (the District Court judge and the three Circuit Court judges) had agreed that the Corporation and Country A’s legal claims of sovereign immunity and of contrary foreign law were without merit. There was little reason for judicial watchers to expect anything beyond a quiet return to the grand jury and further proceedings there. We headed off for the holidays. And then came Roberts’ surprise Sunday decision. He is the “circuit justice” for the D.C. Circuit, meaning he is the justice assigned to receive emergency and other petitions arising from that circuit. Under Supreme Court rules, the circuit justice may act without consulting his or her colleagues to dispose of routine rulings. So, we should not read too much into the fact that it is the chief justice in particular who acted here. But we can read a good deal into his decision to intervene at all. Although every judge below agreed there was ultimately no merit to the Corporation’s legal claims, Roberts evidently harbors some doubt. Something in the Corporation’s papers caught his attention. So rather than consigning this appeal to the discard pile with thousands of others, he has blocked the lower courts’ decisions until he can receive the government’s briefs defending those decisions. Those papers must be filed no later than New Year’s Eve. Once he receives the full briefing, he can reject the Corporation’s appeal or he can advance the matter to the full court for consideration. Until then, we can only wonder at the remarkable circumstance that the chief justice of the United States has personally intervened, at the request of a foreign government through its corporate entity, in Mueller’s investigation. Only two days before, court observers noted that in a high-profile asylum decision, Roberts had sided with his four liberal colleagues against the Trump administration. 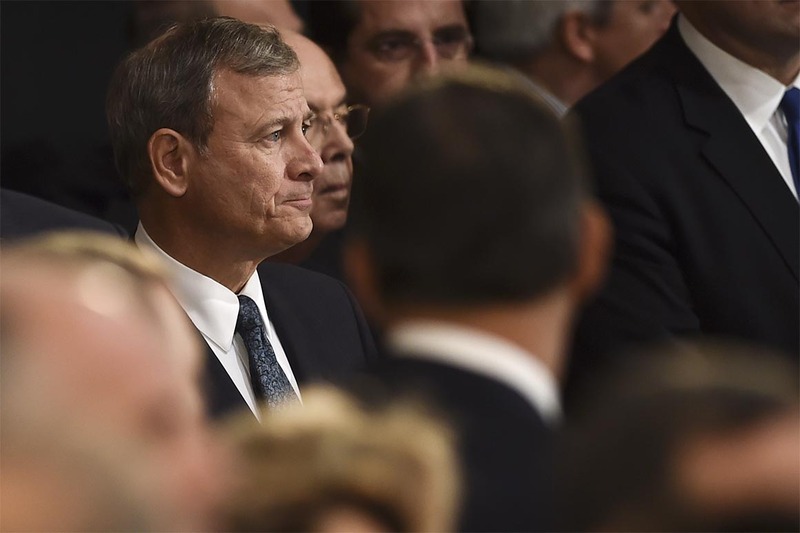 Many observers took that as evidence that Roberts was carefully seeking to preserve the court’s institutional neutrality, integrity and balance. I would imagine this is something Mueller would be aware of…removing sanctions that would serve Oligarch Oleg Deripaska. WASHINGTON — Congress is reviewing the Trump administration’s decision to lift sanctions on companies owned by Oleg V. Deripaska, an influential Russian oligarch with close ties to President Vladimir V. Putin, Democrats said on Friday. The reviews could fuel a congressional effort to block the administration’s decision, which came after an aggressive lobbying and legal campaign against the sanctions by Mr. Deripaska’s corporate empire. Senator Chuck Schumer of New York, the Democratic leader, laid the groundwork to block the lifting of the sanctions on Friday, filing a congressional resolution disapproving of the move by the Treasury Department. The Trump administration wants to end sanctions on the corporate empire controlled by the oligarch Oleg V. Deripaska, but members of Congress have questions. At one point, Deripaska might have been offered immunity from Congress…but we’re long past that. Oleg V. Deripaska, a Russian oligarch once close to President Trump’s former campaign manager, has offered to cooperate with congressional committees investigating Russian meddling in the 2016 election, but lawmakers are unwilling to accept his conditions, according to congressional officials. Mr. Deripaska’s offer comes amid increased attention to his ties to Paul Manafort, who is one of several Trump associates under F.B.I. scrutiny for possible collusion with Russia during the presidential campaign. Oleg V. Deripaska’s offer comes amid increased attention to his ties to Paul Manafort, who is one of several Trump associates under F.B.I. scrutiny. Both of these oligarchs are in Putin’s pocket. Lyovochkin was chief of staff for Yanukovych, the Ukrainian “Putin Puppet” that Manafort and Gates helped install (see paragraph midway into this Guardian article). And now that the Ukrainian people have driven Yanukovych into exile in Russia, Akhmetov has become the Kremlin’s new best hope for a replacement puppet (see paragraph 9 of this Spectator piece). So now we know that, at the highest level, Trump’s campaign was selling out our country to Russia. Shame, shame, shame. And not one peep about this from our President who just yesterday, at the end of his zombie address to the nation, swore an oath to God that he would always protect us. Side note 1: If there’s any good news here, it’s that this sweeps any possibility of a Presidential pardon for Manafort right off the table. 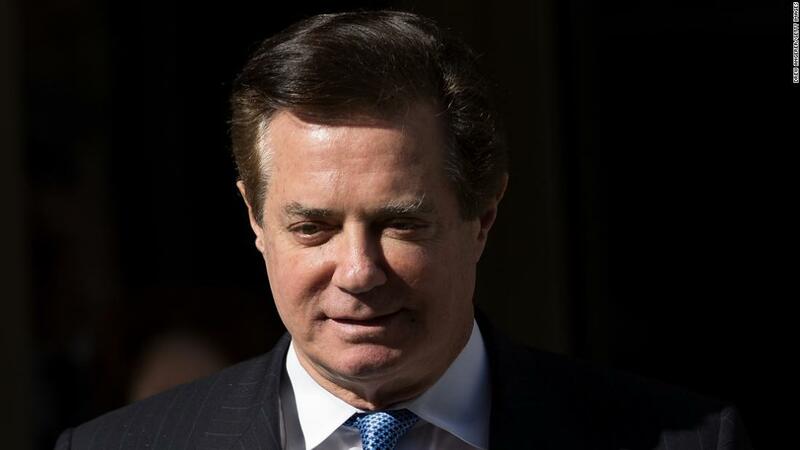 Maybe Manafort will finally realize there is no hope for “divine intervention” and will come clean on what he knows about Trump – it could be his last chance to earn some kind of reduction in his sentence. Side note 2: The NYT originally reported that Manafort intended the polling data to go to Oleg Deripaska; they have since issued a correction to name Lyovochkin and Akhmetov. 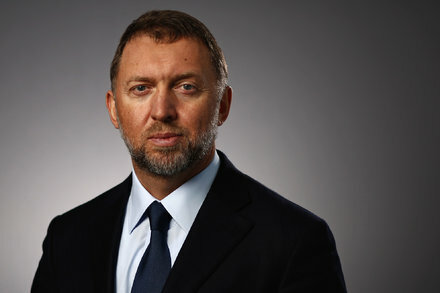 Deripaska is certainly a higher profile go-between for passing the data to Putin, but Lyovochkin and Akhmetov surely channeled it just as efficiently – a Kremlin-connected oligarch by any other name is still a Kremlin-connected oligarch. Good catch with noting the NYT correction - Manafort distributing polling data going to Ukrainian Lyovochkin, and Akhmetov, and yes, they are all deeply connected to the Kremlin. Hard to believe any part of Manafort’s defense in not remembering who he might have given this to…due to his gout. Like all of us, I check around the web for a deeper understanding of the Mueller Probe and trying to pull pieces together. I check twitter for breaking news, and also the main sources - NYT, WaPo, WSJ (headlines), Bloomberg, Business Insider, Politico, Axios, CNN, MSNBC etc. I also browse Committee to Investigate Russia (Rob Reiner’s pursuit of this complex investigation), as well as Marcy Wheeler’s Emptywheel.net. I mention Marcy because while she is considered a well regarded National Security blogger, she found herself in the position of knowing information about some of the informants/leads that Steele may have used. I plugged her in July, 2018 Day 545 Marcy Wheeler mention See WaPo’s profile of her below which describes how she did testify for Mueller about this probe. 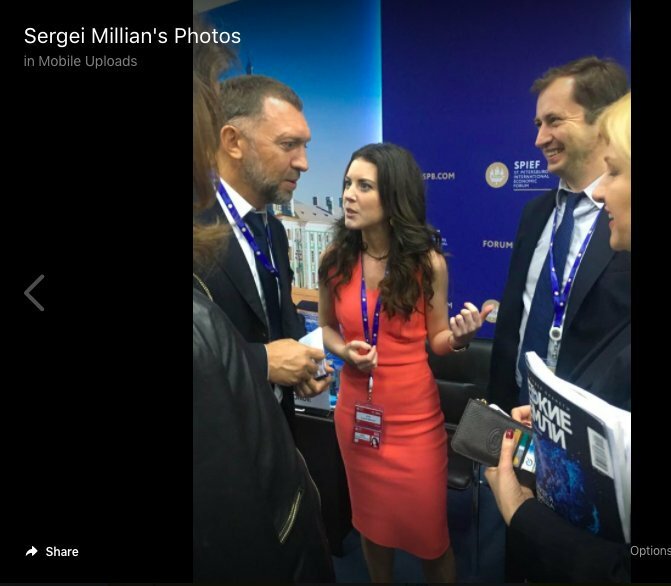 In today’s excerpt, she goes especially deep into connecting the whys and wherefore’s relating to how Deripaska could have been informing Steele via another known Steele informant Millian…she posts a picture of the two of them. And how Manafort is woven into the story as well. It is just interesting to note and see dissected what various connections maybe behind the scenes and she rounds out the story in a plausible fashion. Read thru some of this…and @Keaton_James and @Pet_Proletariat weigh in on this too if you see some EYE-POPPING news which I am not highlighting. I was critiqued for having used some news sources that were looked down upon here, but I think we now have a lot of verifiable facts to lead us to some conclusions. The big news yesterday of Manafort giving polling data to the two Ukrainians (Lyovochkin/Akhmetov) was as big as it gets. Read on…perhaps some revealing points made here. Consider the timeline of some key events below. It shows that the email hacks paralleled Manafort’s increased responsibility on the campaign. But even as Russia’s operation to release dirt on Hillary was proceeding (and Russians were reaching out to George Papadopoulos to dangle emails as well), Michael Cohen was negotiating a Trump Tower deal, via Felix Sater, which was premised on a meeting between him — and then later, Trump — and Vladimir Putin. On June 9 — the same day that Don Jr told Aras Agalarov’s representatives that the Trumps would revisit sanctions if Trump was elected — Cohen even started to book his travel for that meeting. He canceled those plans, however, on the same day Russia’s role in hacking the DNC became public. 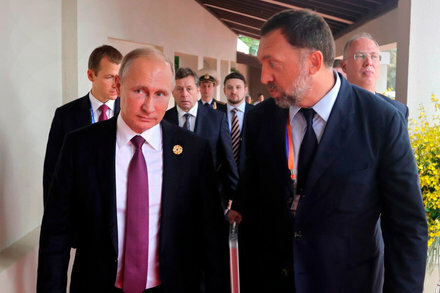 But two key figures in the operation did meet at the St. Petersburg Forum: Deripaska and Millian. And Millian would pick up the Trump Tower deal after the RNC Convention, laundering it, at that point, through a junior staffer who had proven to be a useful go-between for the Russians. We don’t know whether Deripaska, whom Steele was pitching as a viable partner to counter Russian organized crime, was a source for Steele’s dossier. We do know that Manafort is the one who pushed Trump to discredit the Russian investigation by attacking the dossier. June 3: Rob Golstone starts arranging meeting with Don Jr.
January or February 2017: Manafort meets Kilimnik in Madrid. Oleg Deripaska met with Sergei Millian at the same St. Petersburg Forum where Michael Cohen would have negotiated a Trump Tower deal with Vladimir Putin. Marcy Wheeler, who blogs on national security, believed she had an obligation to come forward. Dragonfly, you mentioned that you were critiqued for using sources looked down here. I wasn’t that person, but I have wondered how to expand the breadth of what I read without getting sucked into far right & far left sources. With so much false crap available, it’s hard to trust many sources. So I appreciate (and remain skeptical) when others use “non standard” sources. I’ve also noticed that most of the posters here have read multiple sources before something is added. Thank you. when others use “non standard” sources. I’ve also noticed that most of the posters here have read multiple sources before something is added. Yes it’s fine to post from “non standard” sources if the material can be coraborated from other sources and the person posting includes those sources to prove their point. Hyperlink in text is fine or just post the links, doesn’t matter. The idea is to contribute something of value to further our conversation and understanding. As moderators, we read everything that people post and it’s helpful to us if we don’t have track down random mystery stories from other random blogs. I would much rather spend my time just hanging out in this digital space with you guys than doing fact checks all day. Maybe we should make a thread of the credible blogs out there such as emptywheel and lawfare? Some of these are seriously great resources. I appreciate your commentary, and my reference to being critiqued was not necessarily a hugely horrible thing and I was fine with amending my post. I appreciate that @matt and @jamditis do their best to source pretty top drawer sources, those who do fact checking, and use many sources to corroborate their story. My post just presented what I usually read, and also referenced more theoretical sourcing, but I say that up front. The lesson we may have to learn is to take everything with a grain of salt, and know that there are papers to sell, and positions which ‘preach to the choir.’ We just need to name our source, double check it is not waaaay off (see SNOPES) and add our commentary. Aha! Apparently my tablet doesn’t always see my finger, lol! You don’t want to know how long it took me to highlight anything. Thank you! I gave up on Twitter after the person being Will McAvoy stopped & in protest to what they allow trump to get away with. And I spend a lot of time fact checking what my family members post on Facebook. I plan to go read the links soon. And to Pet_Proletariat, if I come across something to share, I’ll be sure to include the source. I like the idea of a thread with credible blogs or people to follow. 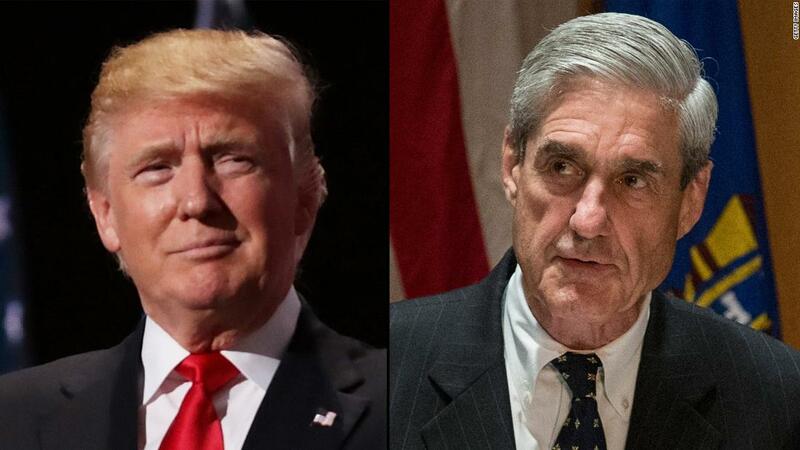 Will Mueller connect the dots between the Trump Tower meeting and the Prevezon money laundering case? Democrats sent a letter to Attorney General Jeff Sessions asking why the Department of Justice decided to settle a major money-laundering case. Yes, I’m posting an article here today that dates from July, 2017! Why? Out of frustration that no one in the mainstream media, and I mean no one, seems to be making the connection between a letter sent to Jeff Sessions from the Democrats on the House Judiciary Committee a year and a half ago and the recent indictment of Natalia Veselnitskaya, the Kremlin-connected lawyer at the Trump Tower meeting. Many of the headlines surrounding this indictment have explicitly stated that the case it involves (a charge of money laundering against a Russian company) is unrelated to the Trump Tower meeting. Hogwash. Some articles have hedged the “unrelated” assertion, by saying the money laundering case is not “directly related” to the Trump Tower meeting. Again, hogwash – because there is simply not enough publicly available information to make that claim. The qualification the press should be making is this: “Currently it is not known if the money laundering case is directly related to the Trump Tower meeting.” In fact, the Democrats on the House Judiciary Committee believe that there may very well be a direct connection between the two. Back in July, 2017, they tried to get to the bottom of it, but the DOJ and Republicans who controlled the Judiciary committee rebuffed them. That attorney, Natalia Veselnitskaya, represents the family of Pyotr Katsyv, the former vice governor of the Moscow region, whose son, Denis, owns the real-estate company Prevezon. The DOJ had been investigating whether Prevezon laundered millions of dollars through New York City real estate when the case was unexpectedly settled two days before going to trial in May. “Last summer, Donald Trump Jr. met with a Kremlin-connected attorney in an attempt to obtain information ‘that would incriminate Hillary,’” the Democrats wrote, citing the emails he published. "Earlier this year, on May 12, 2017, the Department of Justice made an abrupt decision to settle a money laundering case being handled by that same attorney in the Southern District of New York. "We write with some concern that the two events may be connected — and that the Department may have settled the case at a loss for the United States in order to obscure the underlying facts." In the same time frame that Veselnitskaya attended the Trump Tower meeting, she was also in a New York courtroom defending Prevezon (for confirmation see the Democrats’ letter that is reproduced in the article – it’s an eye-opener). It would not be a stretch if, during the meeting, Veselnitskaya either stated directly, or at least hinted, that if she provided dirt on Clinton, the Trump campaign could return the favor by quashing the case against her client were Trump to win the election. Here are some other incriminating connections between the Prevezon money laundering case and the Trump Tower meeting, Trump campaign, Trump organization, or Trump administration – these aren’t proof of anything, but they do add weight to the argument that the Democrats, now in control of the House Judiciary Committee, should reopen their investigation into why the Prevezon case was suddenly swept under the carpet by the DOJ. 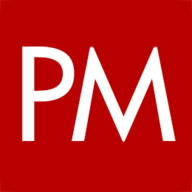 Preet Bharara was the U.S. Attorney aggressively prosecuting the Prevezon case. Trump fired him, thus clearing the way for the DOJ to settle the case (again, see the Democrats’ letter to confirm this and other points below, unless otherwise cited). The settlement was, according Veselnitskaya, very favorable to Prevezon. Perhaps most importantly, though, the settlement meant that any further investigations into Prevezon’s money laundering activities were halted. Prevezon was laundering the money through New York real estate. Hmmm… What prominent New York real estate tycoon do we know who 1) has sold a boat load of properties to Russians, 2) associates with money launderers, 3) won’t release his tax returns, etc.? Deutsche Bank, fined for laundering Russian money through several countries, including Cyprus, provided $90 million in financing to Cyprus-based Prevezon. 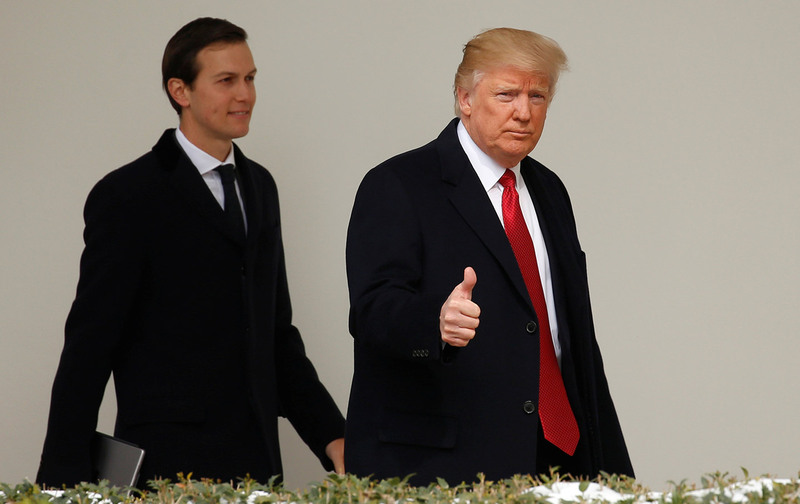 Deutsche Bank is also being scrutinized for its shady ties to Trump and Kushner. Big German Bank, Key to Trump’s Finances, Faces New Scrutiny, NYT. When Trump Jr. appeared before the Senate Judiciary Committee he was asked the following about the Trump Tower meeting (p. 44): “Did Ms. Veselnitskaya or her colleagues ask that your father take any action regarding the Justice Department’s lawsuit against Prevezon Holdings if elected?” Trump Jr.'s response: “Not that I remember.” Maybe he genuinely couldn’t remember, but, to me, this seems like an evasive answer. If Veselnitskaya did make that request, it would have been a flagrant invitation to commit a crime (a quid pro quo proposed by a Russian to quash a U.S. Federal court case) so you’d think Trump Jr. could recall whether or not the request was actually made. 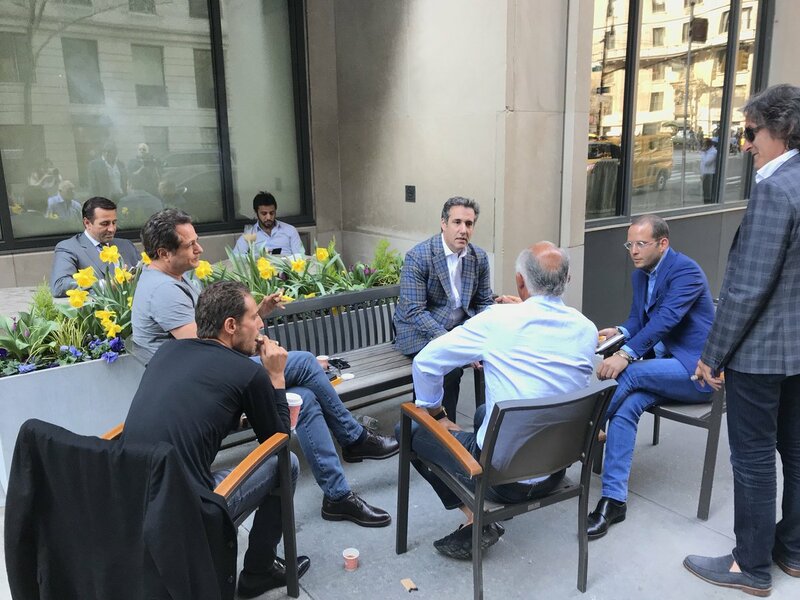 Above: Michael Cohen hanging with Rotem Rosen (blue jacket). Cohen is a close friend of Rosen, having worked with him on Trump real estate deals, including Trump Tower Moscow. Rosen is also the “right-hand man” of Lev Leviev who is a key partner in Prevezon. 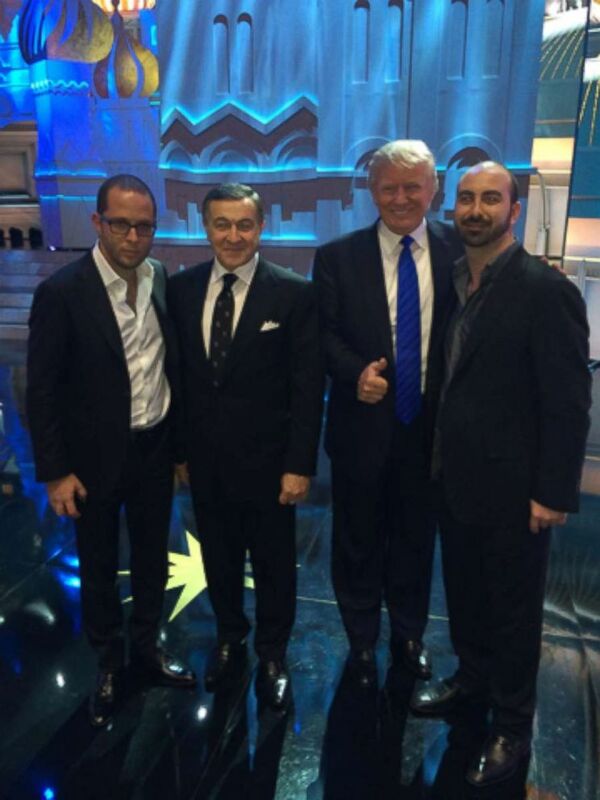 At Miss Universe in Moscow: Rotem Rosen (he accompanied Trump on the trip), Aras Agalarov (he hosted the event and initiated the Trump Tower meeting), Trump, and Alex Sapir (he partnered with Rosen in negotiating the Trump Tower Moscow deal). Mueller just indicted Veselnitskaya…and she was involved in Preveson’s defense. He’s leveraged Vesetnitskaya now…and she’s been connected to the GRU and very close to the top Russian power. All the Oligarchs/Putin are looped into the Russian money-laundering scheme, and by offering a quid pro quo…Russia will help move the election, if you help us launder money via real estate. T will ease up on Russian sanctions, get the US out of NATO and destabilize the US’s position in the world. At the center of the story is the Russian lawyer and activist Natalia Veselnitskaya, who led the team that met with Don Jr., Kushner, and Manafort. And why did the Justice Department abruptly settle a criminal case handled by the same Russian attorney who met with Trump officials last year? Seeing the pictures of all the Russian players that both T and Cohen were involved with is sickening. Let’s hope Cohen can help prove how deeply T was involved in deeply illegal aspects of his pursuit for money and power. Yup…Mueller has been digging deeply…for a long time. Meets with pollster Tony Fabrizio, who worked with T’s campaign and they talked with him last year. Soon after Fabrizio spoke to Mueller’s team last year, Gates began cooperating. Special counsel Robert Mueller sought information directly last year from one of Donald Trump’s campaign pollsters who is also a former business associate of Paul Manafort’s. Mueller’s team met with pollster Tony Fabrizio in February 2018, an interview that has not been previously reported and takes on new significance after Manafort’s attorneys revealed Tuesday that Mueller’s team is still interested in how Manafort shared polling data with his Russian intelligence-linked colleague. CNN journalists observed Fabrizio leaving the special counsel’s office on the first of February last year and have since confirmed he was meeting with Mueller’s team. At the time, the special counsel had been digging into Manafort’s finances and political work ahead of his trial. Fabrizio’s involvement with Mueller is intriguing because he’s one of the few people in Manafort’s orbit with knowledge of the inner-workings of the Trump campaign as well as Manafort’s Eastern European connections. 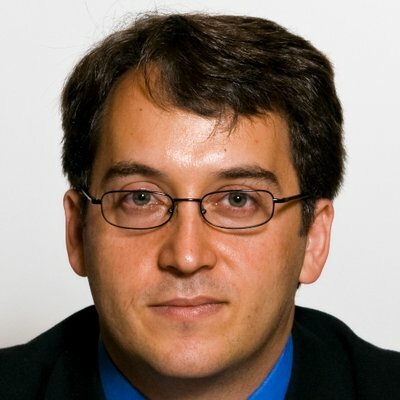 A veteran pollster and political strategist, Fabrizio worked on Ukrainian elections with Manafort and went on to serve as the Trump campaign’s chief pollster beginning in the spring of 2016. A source familiar with the special counsel’s interest said Fabrizio’s interview included questions about his polling work for Manafort in Ukraine rather than his internal Trump campaign polling. 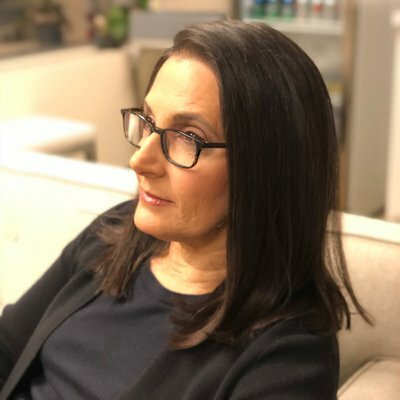 It is not clear what other topics were broached in the interview or whether it solely focused on Fabrizio’s knowledge of Manafort’s business dealings. The Justice Department initially asked Mueller to look into Manafort’s political ties in Ukraine because they may relate to other allegations of Russian coordination with the Trump campaign. Special counsel Robert Mueller sought information directly last year from one of Donald Trump's campaign pollsters who is also a former business associate of Paul Manafort's.